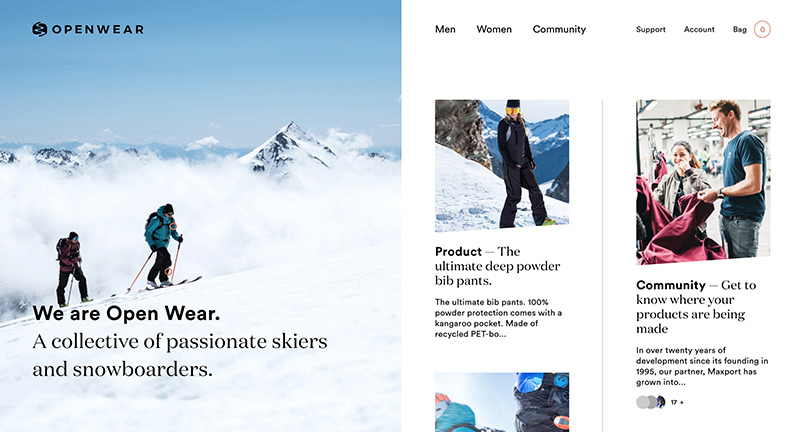 Site of Open Wear, a ski / snowboard outerwear brand and community. 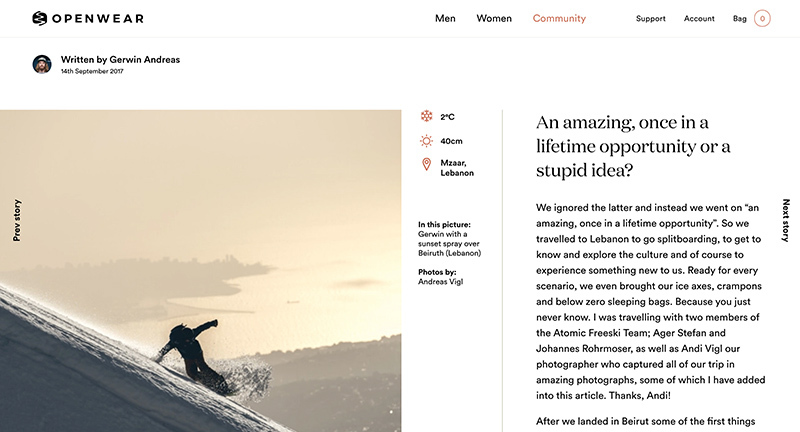 Featuring an editorial design approach featuring articles, opinion pieces, gear reviews and so on. Beautiful design and great execution, love the transition states between the pages, and the thoughtful interactions. 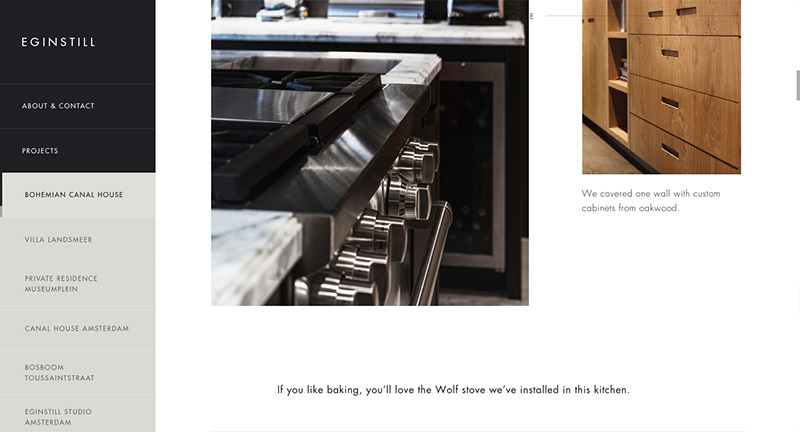 Nice design details, with slightly skewed buttons / UI, makes it feel a little more human. Particularly enjoy the homescreen, with the scrolling panel of content along the right edge. Created by Build in Amsterdam (@buildinams). 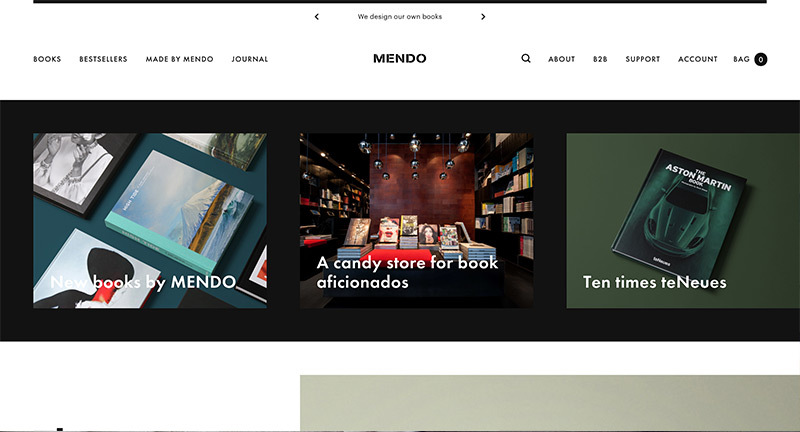 Lovely site for speciality book store in Amsterdam – described as “A candy store for book aficionados”. 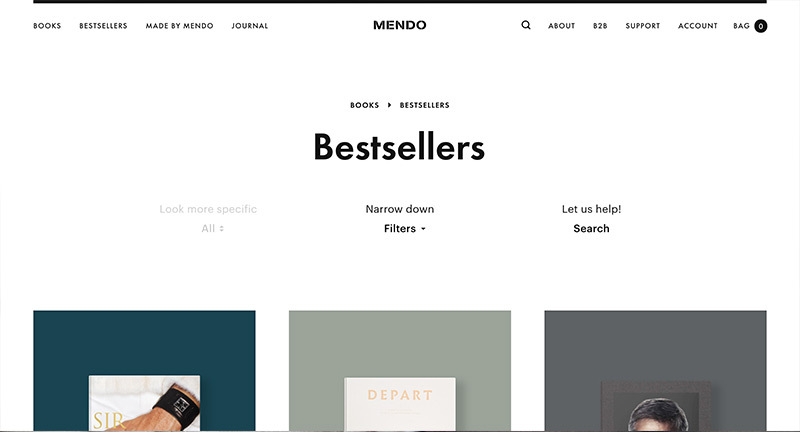 Bold type, and large imagery funnel the viewer down the page with a mixture of editorial, curated, and book suggestions. Some really nice features here with smooth transitions and a great attention to detail. 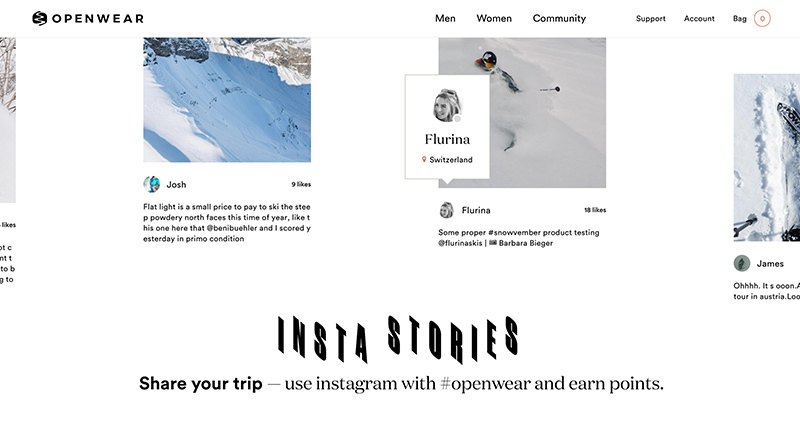 Love the preloader and new page slide in representing a new page – nice link back to the printed medium. On top of this it looks lovely, well designed and interesting layouts that really life the experience. 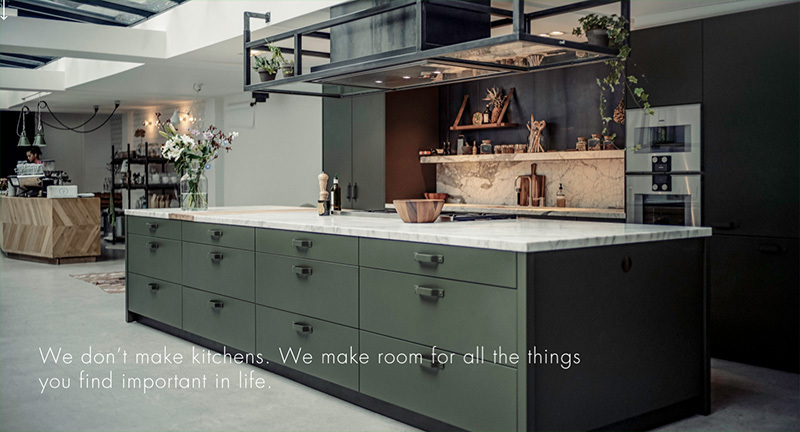 Site of Eginstill – bespoke design kitchens. 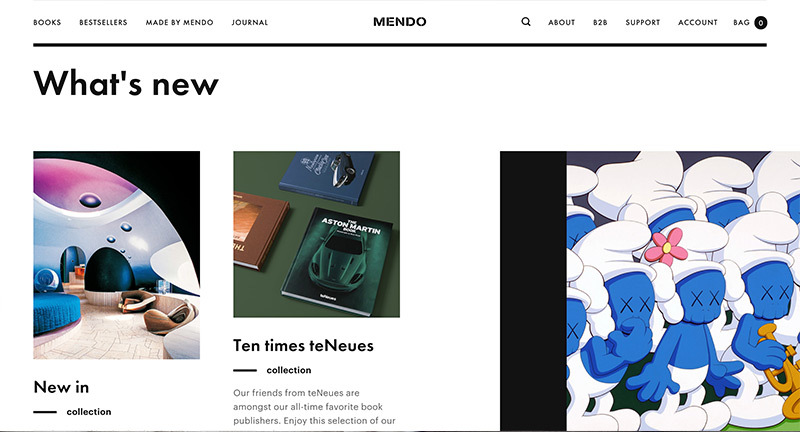 The site has a simple and elegant mechanic that scrolls through the case studies – love the little progress bar along the side of the project label. There is a great effect on the images as you scroll, the mask reveals more of the image inside and moves to give a lovely sense of depth. 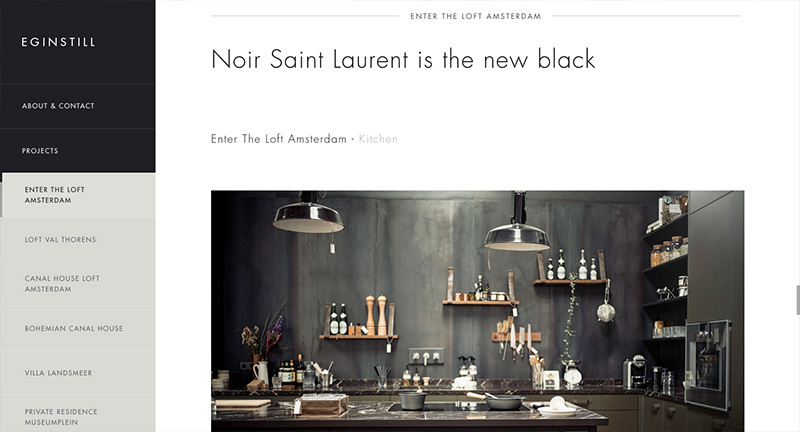 Slick and simple the site is well crafted – lots of small details come together to make this elegant site.